Celebration time for the Eagles. 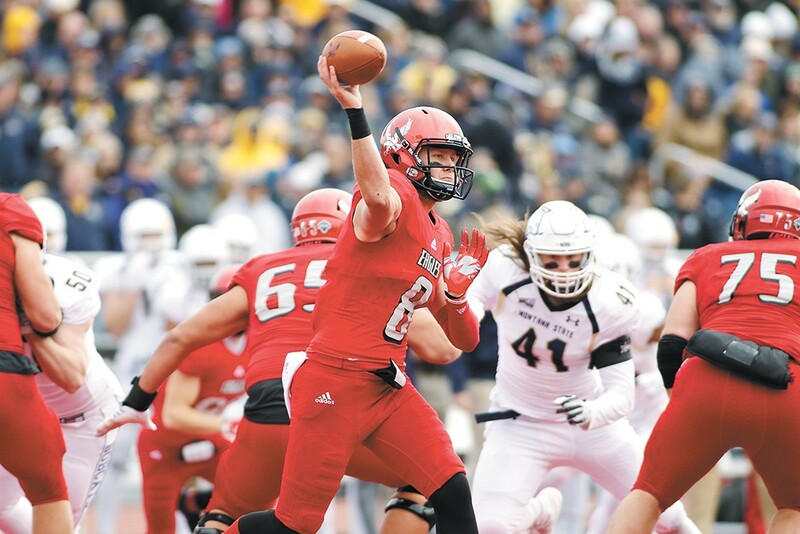 We've become accustomed to Eastern Washington airing it out against opponents behind star quarterback Gage Gubrud and his rapidly expanding cast of skilled receivers, but on Saturday, the Eagles used a battering-ram day of running to beat Montana State 31-19 and stay atop the Big Sky Conference. 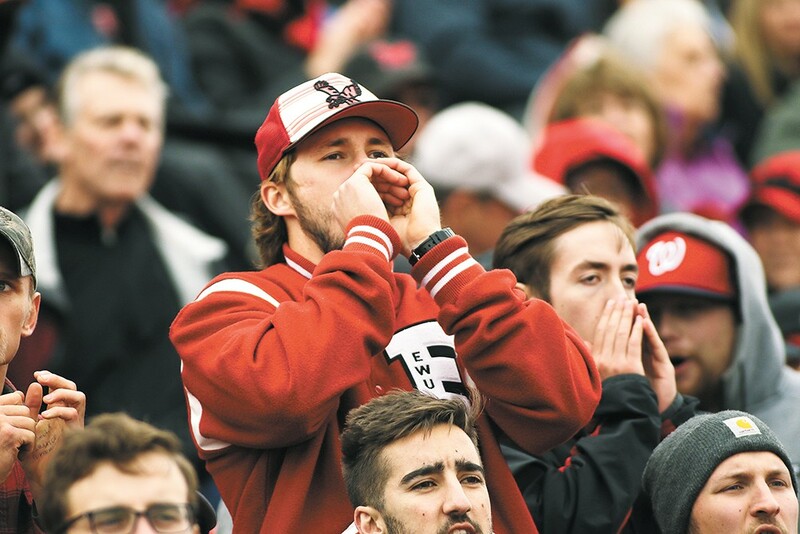 There was a lot to cheer about against Montana State. 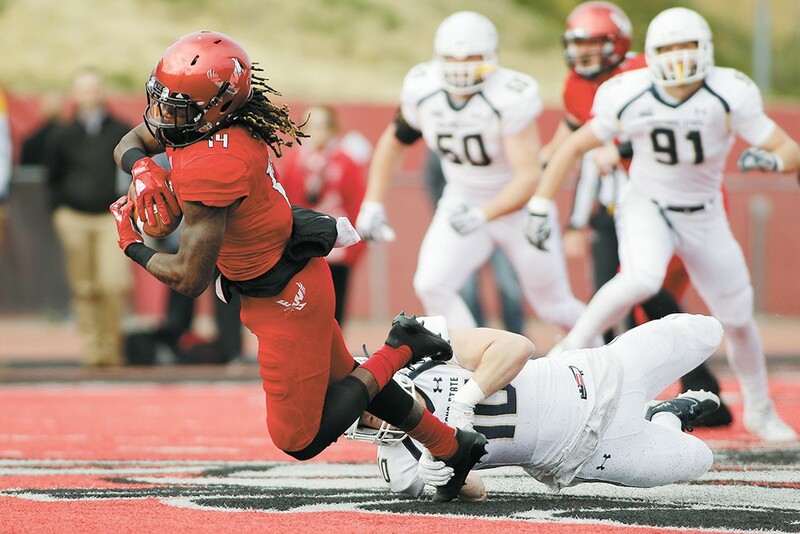 The Eagles went up early on the Bobcats from Bozeman and stayed there, thanks to sophomore running back Antoine Custer Jr.'s 147 yards and two touchdowns. They got a little sloppy in the fourth quarter, allowing Montana State back into the game, but held on for a victory — their 12th consecutive in conference play — that makes Eastern 4-0 in the Big Sky heading into Saturday's game at Southern Utah University, which beat a strong Weber State team on the road Saturday. This one could be tricky. Wide receiver Jayson Williams hauls one in. 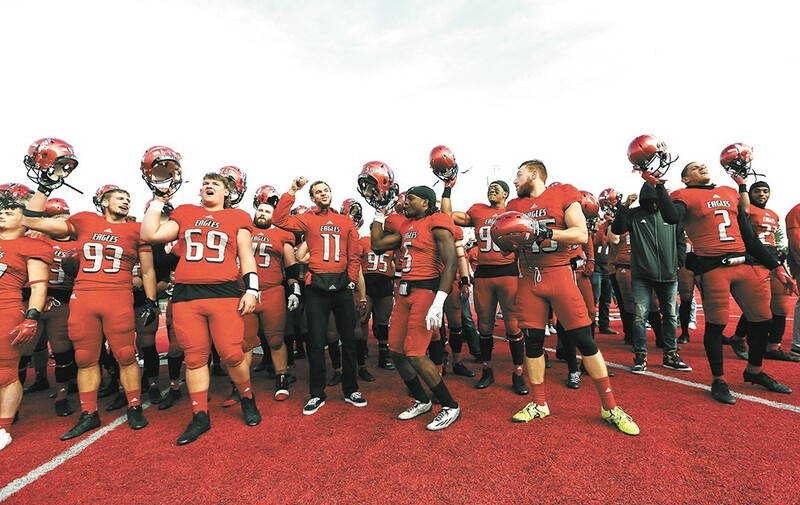 Saturday's win took EWU up to No. 8 in the country in the Football Championship Subdivision coaches poll. Keep up with the Eagles and the rest of the region's football teams every week in our Monday Morning Placekicker blog on Inlander.com.